For this Tips, Tricks & Techniques Class, we will utilize The Rail Fence Quilt Primer. A Primer is a basic text for teaching something....The Rail Fence is an easy block that lends itself to a review of all the quilt basics and ultimately leads to an elegantly simple quilt. 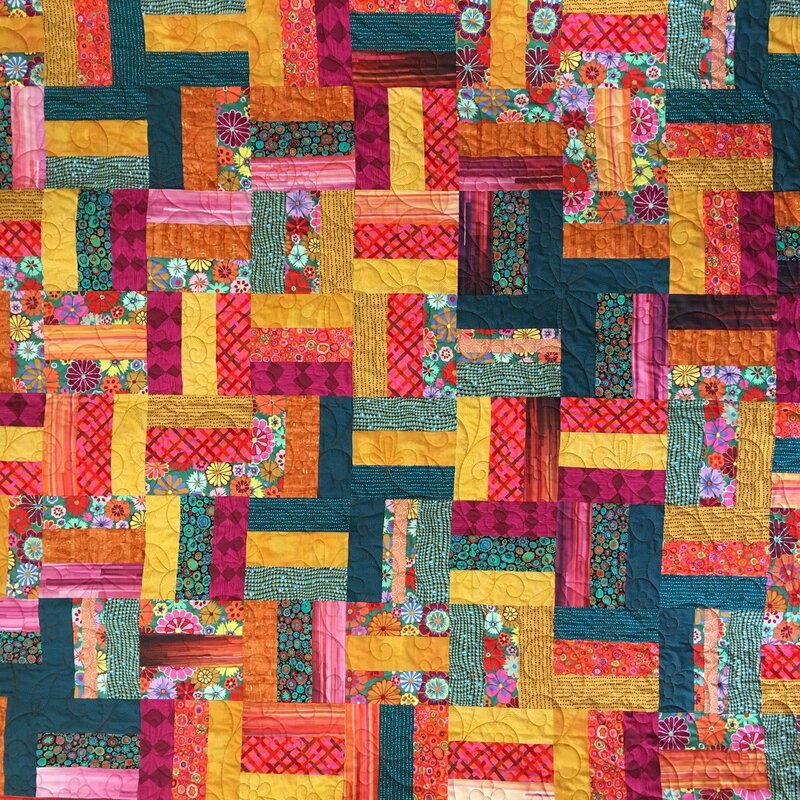 Join us for a day of reviewing & perfecting the basics in the Art of Quilt Making. By the end of class you will have learned or polished the skills needed to move forward and finish a beautiful Quilt Top. Sewing Machine in good working order- don't forget your cords & foot pedal. 10% Discount card issued when you sign up - pick up card in shop!